Welcome to Royal Acres! We are all about dogs - and having a great time! We are here to help the community keep our dog friends happy, healthy and to ensure they remain a wonderful part of our homes and daily lives. 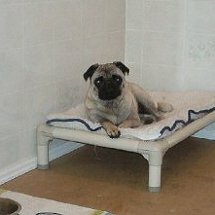 This is achieved through giving dogs the outlet to do what they love to do - BE DOGS! If your dog is like our dogs, they long to be outdoors in the grass and fresh air. 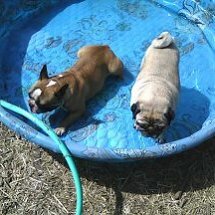 They want to run, play, swim, catch toys, roll in the grass or snow and breathe in the outdoors. Being cooped up inside just isn't as fun as outdoor playtime! 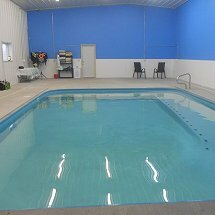 Our overnight boarding facility includes lots of outdoor playtime as well as comfortable private suites. 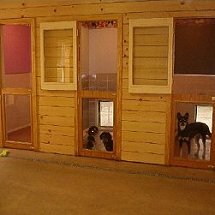 The daycare option is available for dogs to come and play with other dogs and our staff in our indoor/outdoor areas while their owners are away during the day. 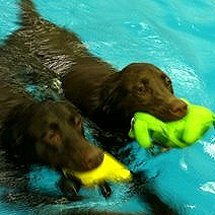 Swim sessions can be scheduled through the swim center contact info for a fun time with your pups, or hydro therapy benefits. 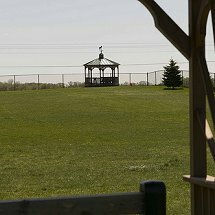 The dog park is a five acre fully fenced off leash park where owners may bring their dogs for interactive playtime. 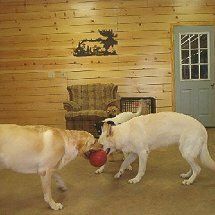 At all of our Royal Acres facilities, our main goal is to let dogs be dogs. 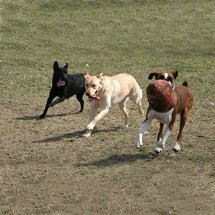 To bring fun and enjoyment into their lives by offering them activities they enjoy, burn off some of that natural dog energy, and give owners the chance to enjoy their companions to the fullest degree.